We recommend that you do not start this input form until you have prepped your pictures for easy upload. We require a signed Listing Agreement in hand before we can Activate your listing on Costa Rica’s MLS. GO HERE to see a sample of our template, and provide the needed info to create your customized agreement, ready for your signature. Fields with a small red square beside them are 'required' data. Your form will not be submitted without these completed. All other fields can be completed at your discretion. Overseas Pacific Realty reserves the right to rewrite submitted copy in an effort to present the property in the best possible light with the intention of selling it quickly. Overseas Pacific Realty reserves the right to use all words and imagery provided herein for other promotional efforts such as mailings, Facebook & YouTube posts and any other medium that helps us get this listing noticed. Your Phone Number Include country and area codes. Attach Pictures WE WILL STRAIGHTEN, CROP, SIZE & COLOR CORRECT IMAGES, WHERE NEEDED, BEFORE IT'S POSTED. PLEASE PROVIDE PICTURES IN THE FOLLOWING MANNER: 1) Provide only the pictures you want us to post by eliminating duplicates and bad pictures. 2) Make sure each image is no larger than 500k in file size. 3) Compile all images into 1 folder and attach that folder here (some browsers may require you to Compress or Zip the folder before attaching). The folder size can be no greater than 15 megabytes and no more than 30 pictures will be accepted. Attach Video If you have video on your property or drone footage, and the video file is less than 20 megabytes, you can attach it here. For larger files, use http://wetransfer.com or https://www.dropbox.com and send it to mike@overseas.de. If you have a video already posted on line, copy paste the URL into the Additional Information box at the bottom of this form. Attach Documents All documents that are pertinent to the sale of this property like the Catastro, Plano, site maps, floor plans, listing agreements etc. If you only have hard copies of these documents, a camera phone picture of them will suffice. Agent's Name Please select the OPR real estate agent who will be servicing this listing. If None, we will have an agent contact you soon. Property Name Provide a moniker for our tracking purposes, such as Hacienda Pinilla Lot #4, or Casa Suenos or Bob Smith's Condo. Listing Headline A 1 sentence description of the property. 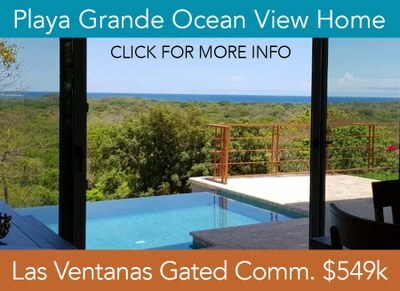 EG "A Beautiful Ocean-View Home With Private Pool & Beach Access"
Short Description A single paragraph describing the property's most prominent features. All other finer details will go in the Long Description to follow, if needed. Long Description This is where you can provide detailed information on your listing. Location Provide city/town, province and development name if any. Location Type Select all that apply. Geographic Type Select all that apply. View Type Select all that apply. Average Temperature Indicate celsius or fahrenheit. Roof Type Select all that apply. Total Living Space Include interior as well as designed outdoor living spaces such as a pool terrace or BBQ rancho. Specify square feet or square meters. Total Lot Size Specify if it's square feet, square meters, acres or hectares. For condos or apartments with no land, enter 0. Floor Type Select all that apply. Construction Status Select all that apply. Rennovation or Remodeling Indicate the year of the most recent remodeling or renovation, if any. Additional Rooms Select all that apply. Air Conditioning Select all that apply. Pool Select all that apply. Parking Select all that apply. Interior Features Included Select all that apply. Exterior Features Included Select all that apply. Amenities Included Only those provided by the community or association. Select all that apply. Community Features Only those provided by the community or association. Select all that apply. Security Features Only those provided by the community or association. Select all that apply. Listing Price Indicate asking price in US dollars. Listing Commission Indicate commission percentage seller is offering. Seller Financing If the seller is offering financing, please provide terms (amount, interest, term). Property Taxes Provide average annual property taxes in USD. Liens If there are any liens (foreclosure, lawsuits, etc.) on this property, please provide details. Association Fees Please provide any home owner's association or 'HOA' fees required by the community, if any. Folio Real or Catastro Provide either a valid folio real number or the catastro number issued by Registro National. This information can usually be found on floor plans or site plans. NOTE: your listing will be rejected if this number is not accurate. Owner/Seller Information Provide the corporation's name (if any), the owner's full name, telephone numbers and email address. Additional Information Provide other information that will be helpful in showing and selling this property such as care taker contact info, showing instructions, directions to home etc. Add'l Media Requested Select all that apply. Selections subject to management approval. YOU MADE IT! Well Done! Check that you have completed all REQUIRED fields (the one's with the red squares) and that your pictures and documents are attached. If so, click the blue SUBMIT button above this text. An OPR agent will receive this directly and send you a Listing Agreement with the information you provided for you to print, sign & date and send back. Your listing will be uploaded within 48 hours and activated the moment we receive the signed Listing Agreement. Welcome to Overseas Pacific Realty and Good Luck!